Did you know that White Buffalo are extremely rare and could possibly be beefalo? What is a beefalo you ask? It is a bison cattle crossbreed. This is one of the few interesting tidbits I learned while doing research on Jake Smith, otherwise known as The White Buffalo. To be honest, I don't remember how I came across him a couple of years ago, but with my travel schedule this last week, I was finally able to give it a listen on my trusty travel companion, the ipod. If you have an ipod, you are familiar with the rating system, where it allows you to give songs up to 5 stars. With having been very compulsive about rating as many songs as I can and creating different playlists, I have been able to create a playlist of about 11,000 songs, consisting of purchases over the last few years that I haven't had a chance to listen to yet. When I have time, typically during a flight, I put this playlist on random, bringing music to my ears that I have had for 1, 2 or even 3 years, but haven't had a chance to listen to yet. This is how I finally came to hear The White Buffalo, and his song "Sweet Hereafter". Let's just say, it had a 5 star rating after about 30 seconds, and other songs soon followed. At first, I thought to myself, "I have never heard this Eddie Veddar song before." After realizing why, I came to the conclusion that this is what Eddie Veddar would have sounded like if he grew up in Birmingham instead of Seattle. 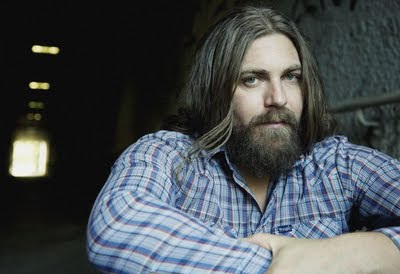 Releasing his first album in 2005 called The White Buffalo EP, there was a pretty big gap until his full length release of Hogtied Revisited, which is a rerecording of a now discontinued and out of print release entitled Hogtied Like a Rodeo. This is where you will find "Sweet Hereafter". With one more EP called Prepare for Black and Blue, which was released in November of this last year, we only have 23 songs to enjoy. Hopefully this is just the start, and we will have a lot of new great music to look forward to. Unfortunately, my travel schedule has gotten in the way this time, and I won't be able to attend. At least I can bring him on the plane with me. It has been quite the summer. With my boys being involved in more and more activities, my travel schedule picking up, and my need to get out on my bike, I had to bump this blog down a couple notches on the priority totem pole. I must say, it feels good to post again. This has been a great year for new music, and I continue to come across more and more, and surprisingly I came across this band in a way that for me is non traditional. I heard them on the radio. I never listen to the radio. In fact, I don't like listening to the radio. I prefer finding new music on my own, and I can't stand commercials. However, on this particular day, I happened to be the passenger in a friends car. Chances are we were headed out to lunch, on our way to buy some concert tickets for an artist you would never hear on the radio. I didn't notice the song at first, but once I did, and started paying attention, I couldn't quite place what type of station it was on. I don't like classifying music by genres (another reason I don't partake in what radio has to offer), but "New Low" kind of sounded like 'hard rock', but at the same time it was also 'alternative' and a little 'pop-ish'. It really reminded me of Jane's Addiction. 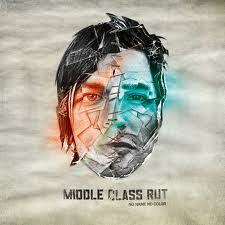 After further research, I came to know Middle Class Rut, otherwise known as MC Rut. Formed by Zack Lopez and Sean Stockham in 2006 in Sacramento, California, they kept busy by releasing a handful of EPs, finally releasing their debut full length entitled, No Name No Color in October of last year. I've only had a chance to listen to the album once so far, but if you like these two songs, chances are you will like the album as they don't stray too far from this sound. They also just completed a cover of Bob Dylan's "Hurricane", which will be released in the near future. In the meantime, they gave us this nice teaser.